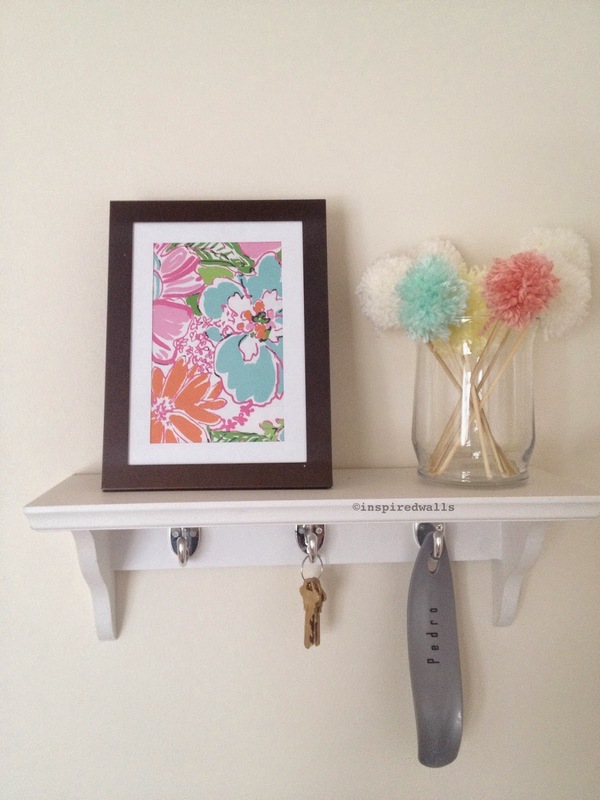 SPRING ENTRYWAY REDO - HIP HIP HOME! It was time for the Winter decor to come down anyway! Bye Bye fake snow and my dear little snowflake! You have served your purpose well. It's now time for you to step down. See ya next year! Now nothing screams Spring more than flowers and pastels! But since I can't afford to buy flowers every week, Sigh, I wanted a non-tacky way to include fake flowers. Or something that looked like it at least. It was then that I spotted this! 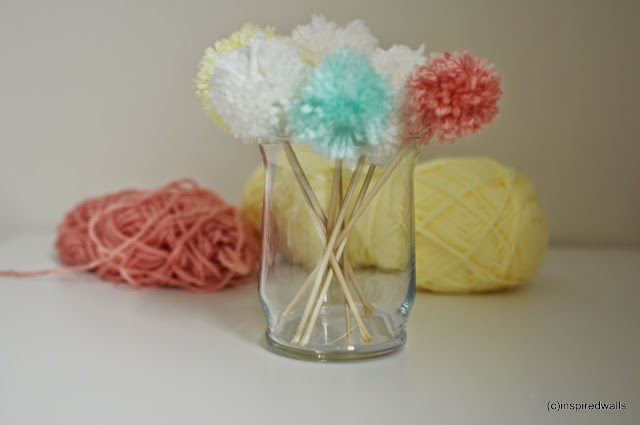 Now everyone knows how to make pom-poms. 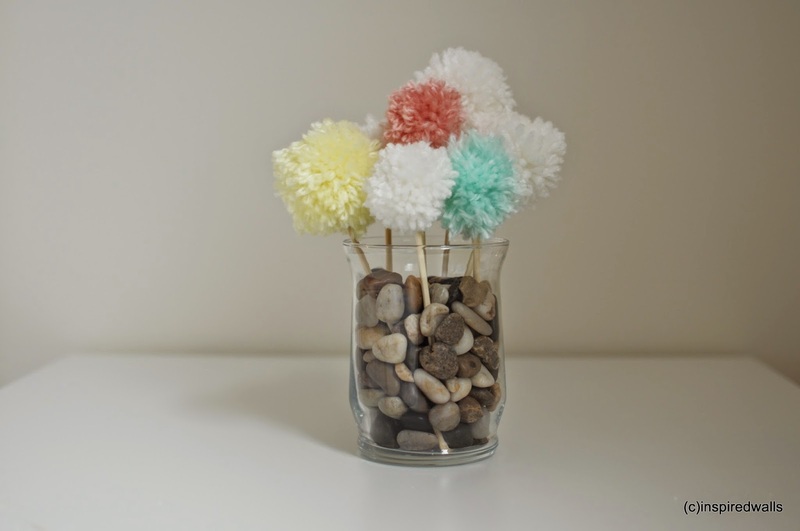 Its simple, easy, fun, but not too great if you have allergies I guess. No matter how much I vacuum, I find bits of yarn in every corner of my house. But all said, they are so cute! 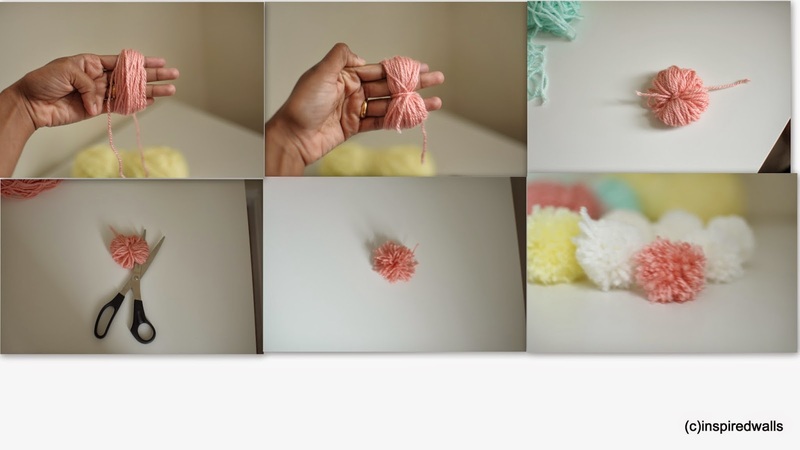 I know everyone knows to make pom poms but I included a quick photo collage anyway. 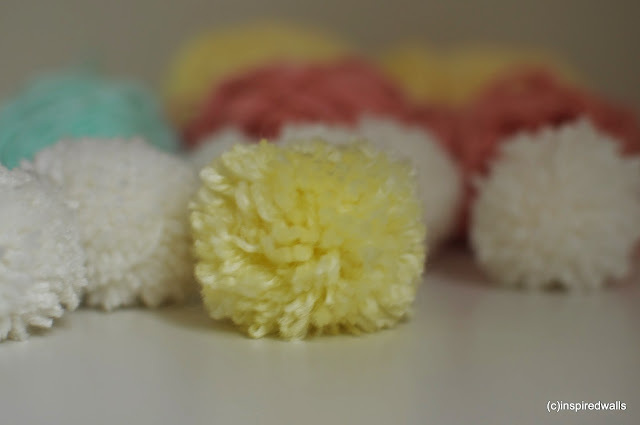 I can never have enough pom poms. How cute are they! 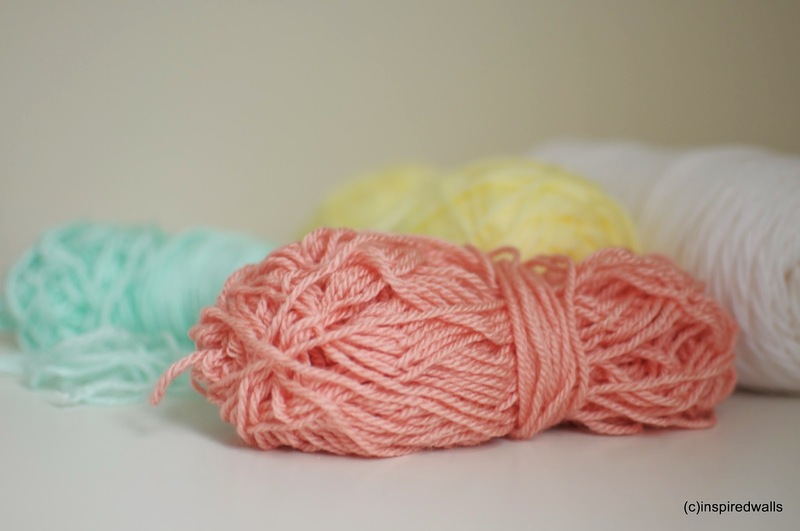 And since I used baby yarn, (Cos the right shade of pastel colors seem to come only in baby yarn! Huh!) they are incredibly soft. I saved one to rub on my cheek when I need some fur love. Is that weird? I just took some bamboo skewers and popped the pom poms on top. They look like candy, don't they! 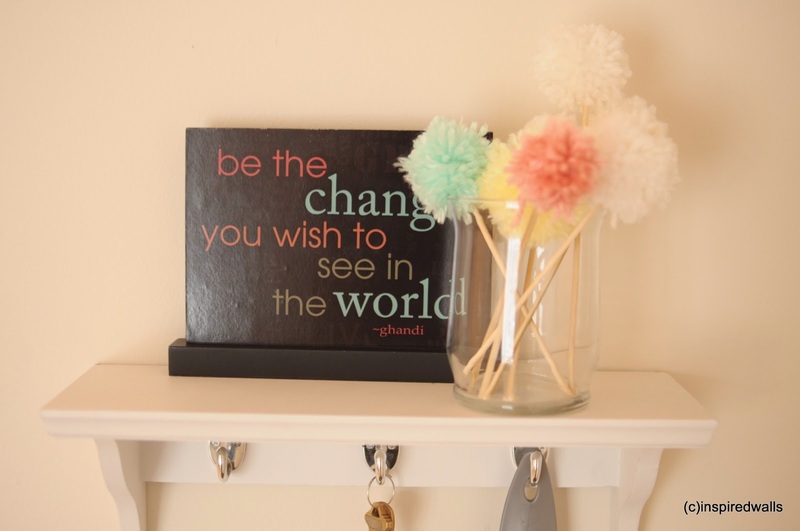 I put them on the shelf, and used a small frame I had next to it. I was planning to make some art to go next to it,in really bright colors. While I was thinking of the colors, I went to get my mail and got the "US Weekly". 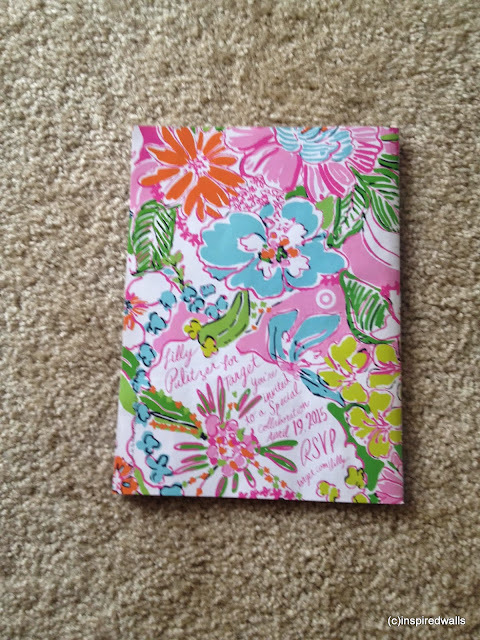 I browsed through the pages and when I turned over the back cover, there was this amazing print from Lilly Pulitzer. I knew right then what I had to do. I tore the back page (a little too quickly), folded it and inserted it in my frame. It was as if it was meant to be! Up they went on my entryway shelf. And they will stay there for a while! 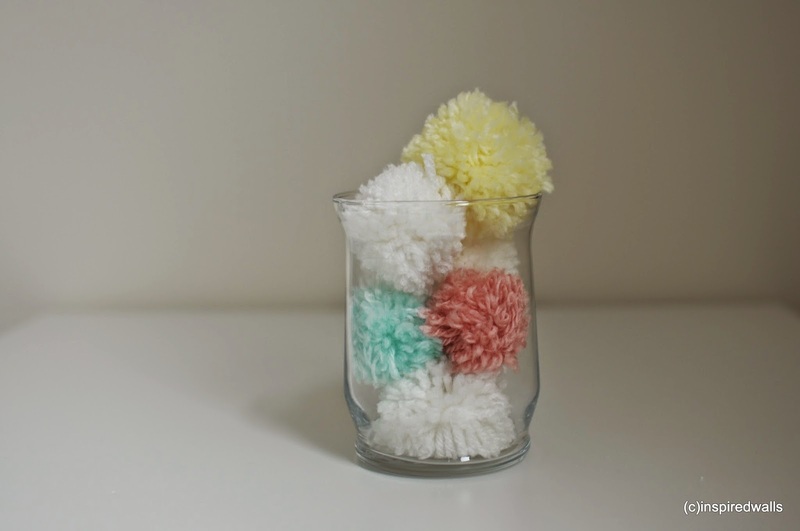 Fun and easy Spring fix! Happy Spring everybody!